Never underestimate the power of your involvement in your children's lives. Stay faithful in walking them to school, helping them with homework, showing interest in their pursuits, and demonstrating your affection every day. The brutal murder of a 16-year-old boy in Chicago several weeks ago has brought youth violence to the headlines once again. Many leaders agree that this latest example is one more wake-up call for our nation to take action to combat some alarming trends, but in all of the talk, few viable solutions are recommended. One student at the Chicago high school said, "It's up to us to make a change. All of these adults are doing what they need to do to help us." It's admirable for this student and others like her to recognize that each young person is responsible for his or her actions, but long-term solutions will only be found in addressing some of the root causes of violence, and one major cause is the trend toward greater absence of fathers from their children's lives. 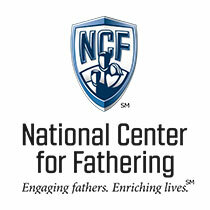 Research is conclusive about the link between fatherlessness and higher occurrences of crime and violence in youth. Fathers who are not only present, but engaged in their children's lives, help shape their children's character. Boys especially need a man there to reel in their aggressive tendencies — to confront them about disrespect and inappropriate behavior, hold them accountable to a higher standard, and be a model for responsibility and healthy conflict resolution. That's an important part of our role as fathers. And in today's world, with so many unfathered children already, we must take it a step further and be father figures to other kids who don't have a fatherly presence in their lives. Those kids need our encouragement, our modeling, and our accountability as well. If we don't reach out to them, we leave them vulnerable. "Encouraging Another Child" is a critical element of the Championship Fathering Commitment, since the ultimate objective is to change the culture for today's children and the children of coming generations. There are many ways to reach out: by coaching or sponsoring youth events; by showing interest in them and their pursuits; by including them in your family's activities; by going out of your way to speak words of support and confidence. There are also more organized ways to get involved, whether it's volunteering through a mentoring organization, serving a day at your child's school through our WATCH D.O.G.S. program, or even starting or joining a violence prevention effort like the MAD DADS (Men Against Destruction, Defending Against Drugs and Social-Disorder) organization, which has chapters across the country. Don't underestimate the power of your involvement in your children's lives. Stay faithful in walking them to school, helping them with homework, showing interest in their pursuits, and demonstrating your affection every day. Build friendly relationships with your kids' classmates. Earn the right to step in with a word of advice or gentle correction. Encourage a child without a dad by attending his sports event, music performance, etc. Or try making it a fun outing for your whole family. What advice did you receive from your dad or another father figure? Without giving a lecture, speak similar words to a fatherless child you know. Talk with administrators at your child's school about security and offer to help organize fathers to help in those efforts, possibly by starting a WATCH D.O.G.S. program. (For more information, please visit www.fathers.com/watchdogs).